Meeting an anonymous client late on a sizzling summer night is asking for trouble. But trouble is Chicago private eye V.I. Warshwski's specialty. Her client says he's the prominent banker, John Thayer. Turns out he's not. He says his son's girlfriend, Anita Hill, is missing. Turns out that's not her real name. V.I. 's search turns up someone soon enough -- the real John Thayer's son, and he's dead. Who's V.I. 's client? Why has she been set up and sent out on a wild-goose chase? By the time she's got it figured, things are hotter -- and deadlier -- than Chicago in July. V.I. 's in a desperate race against time. At stake: a young woman's life. 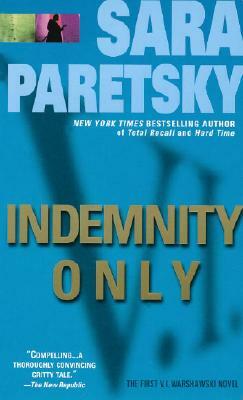 Sara Paretsky is the author of many novels, including her V. I. Warshawski series, which began with Indemnity Only. She lives in Chicago. "The Chicago writer whose name always makes the top of the list when people talk about the new female operatives." -- Marilyn Stasio, The New York Times Book Review.